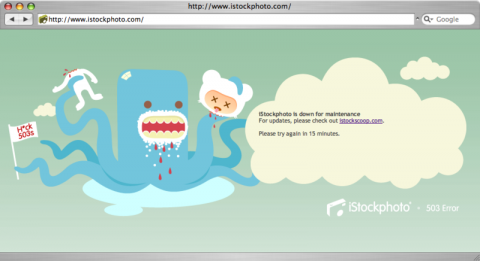 istockphoto.com is down. The error page (above) had me chuckle. I didn’t because I needed to download an image! I know. The first time I saw it, I thought it was cute and charming. The next 17 times I saw it, I wanted to scream.